The Intruders may be available for your next special event! 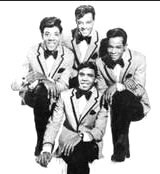 Formed in the early sixties, The Intruders were four Philadelphians, Sam "Little Sonny" Brown, Eugene "Bird" Daughtry, Phillip "Phil" Terry and Robert "Big Sonny" Edwards. Singing together since 1961, the group blended Philly's street corner doo-wop tradition with black gospel influences that attracted Kenny Gamble and Leon Huff to sign them to their fledgling record company, Philadelphia International Records. In 1968, "Cowboys to Girls," written by Gamble and Huff, was a break-out million dollar seller that was considered to be the prototype for the emerging Sound of Philadelphia. 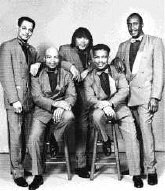 Followed up by "(Love Is Like A) Baseball Game," The Intruders became known as innovators of Philly soul. Robert "Bobby Star" Ferguson joined the group in 1970 and re-ignited their string of hit singles with "When We Get Married" and "(Win, Place or Show) She's a Winner." "I'll Always Love My Mama," a collaborative writing effort by Gamble, Huff, McFadden and Whitehead, was released in 1973. The Intruders were essential in the evolution of the Sound of Philadelphia. In 1973, they joined Billy Paul and The O'Jays in a European tour that brought the Philly Soul overseas. They are credited as being a cornerstone of the Philly Sound and remain close to their Philadelphia origins. booking entertainment, such as major name entertainers or celebrities, booking The Intruders, booking information on The Intruders, or hiring The Intruders for your special event, or to book or hire The Intruders, or if you are seeking The Intruders booking agent for corporate entertainment or for a private party. Consider the opportunity to book The Intruders or other entertainers for a wedding, birthday, anniversary, business meeting or convention. If you are not a talent buyer, we are unable to provide The Intruders manager or management contact information. Consider this your official The Intruders booking agency web site – The booking agent who works for you! This company acts as an entertainment consultant or broker/producer and does not claim or represent itself as the exclusive agent, representative or management of The Intruders. 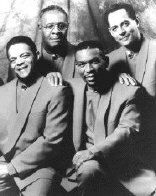 The Intruders, r&b music artists - booking agent. This group may be available for your event. Book them if you can. You will have the time of your life!